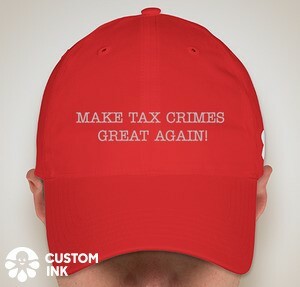 In my publications on federal tax crimes (currently Chapter 12 of Michael Saltzman and Leslie Book, IRS Practice and Procedure (Thomsen Reuters 2015), here, and my co-authored Tax Crimes (2d Edition 2015), here, a subject addressed is the collateral consequences of conviction for tax crimes. Some of those collateral consequences apply generally and not just to tax crimes. One collateral consequence of a felony conviction is regarding ownership or possession of firearms. The statute, 18 U.S.C. § 922(g)(1), here, provides that "It shall be unlawful for any person * * * who has been convicted in any court of, a crime punishable by imprisonment for a term exceeding one year * * * * to ship or transport in interstate or foreign commerce, or possess in or affecting commerce, any firearm or ammunition; or to receive any firearm or ammunition which has been shipped or transported in interstate or foreign commerce." Most readers will know that, under the common law, the felony crime is more serious than the misdemeanor crime, with more serious punishments for felonies. See generally Wikipedia entries for Felony, here, and Misdemeanor, here. The general distinction often used to distinguish a felony from a misdemeanor is that a felony has a sentence of more than one year. See Wikipedia, Classes of Offenses Under Federal Law, here. The legislature may specifically designate crimes as felonies, but federal crimes tend to use this distinction in the statutory designations. For example, § 7201, here, specifically states that the crime of tax evasion is a "felony;" providing a punishment of 5 years, which would make it a felony in any event under the general definition; § 7203, here, specifically states that failure to file is a "misdemeanor" punishable by not more than one year. (By the same token, some state laws designate as misdemeanors crimes having punishments of up to two years, so the general definition may not hold in the face of a legislative designation.) The statute seems quite plain as to its application, but it does raise interesting issues in light of the Supreme Court's interpretation of the right to firearms in the Second Amendment. Federal law generally prohibits the possession of firearms by any person convicted in any court of a “crime punishable by imprisonment for a term exceeding one year.” 18 U.S.C. § 922(g)(1). Excluded from the prohibition is “any State offense classified by the laws of the State as a misdemeanor and punishable by a term of imprisonment of two years or less.” Id. § 921(a)(20)(B). And there is also an exemption for “[a]ny conviction which has been expunged, or set aside or for which a person has been pardoned or has had civil rights restored,” where the grant of relief does not expressly preserve the firearms bar. Id. § 921(a)(20). In United States v. Marzzarella we adopted a framework for deciding facial and as-applied Second Amendment challenges. 614 F.3d 85 (3d Cir. 2010). Then in United States v. Barton we held that the prohibition of § 922(g)(1) does not violate the Second Amendment on its face, but we stated that it remains subject to as-applied constitutional challenges. 633 F.3d 168 (3d Cir. 2011). Before us are two such challenges. In deciding them, we determine how a criminal law offender may rebut the presumption that he lacks Second Amendment rights. In particular, a majority of the Court concludes that Marzzarella, whose two-step test we reaffirm today, drives the analysis. Meanwhile, a separate majority holds that the two as-applied challenges before us succeed. Part IV of this opinion sets out how, for purposes of future cases, to make sense of our fractured vote. When sorting out a fractured decision of the Court, the goal is “to find a single legal standard” that “produce[s] results with which a majority of the [Court] in the case articulating the standard would agree.” United States v. Donovan, 661 F.3d 174, 182 (3d Cir. 2011) (quoting Planned Parenthood of Southeastern Pa. v. Casey, 947 F.2d 682, 693 (3d Cir. 1991), modified on other grounds, 505 U.S. 833 (1992)). We have at times “looked to the votes of dissenting [judges] if they, combined with votes from plurality or concurring opinions, establish a majority view on the relevant issue.” Id. And when no single rationale explaining the result enjoys the support of a majority of the Court, its holding “may be viewed as that position taken by those Members who concurred in the judgments on the narrowest grounds.” Marks v. United States, 430 U.S. 188, 193 (1977) (quoting Gregg v. Georgia, 428 U.S. 153, 69 n.15 (1976) (plurality opinion)). Applying those interpretive tools here, the following is the law of our Circuit: (1) the two-step Marzzarella framework controls all Second Amendment challenges, including as-applied challenges to § 922(g)(1); (2) a challenger will satisfy the first step of that framework only if he proves that the law or regulation at issue burdens conduct protected by the Second Amendment; (3) to satisfy step one in the context of an as-applied challenge to § 922(g)(1), a challenger must prove that he was not previously convicted of a serious crime; (4) evidence of a challenger’s rehabilitation or his likelihood of recidivism is not relevant to the step-one analysis; (5) as the narrowest ground supporting the Court’s judgments for Binderup and Suarez, the considerations discussed above will determine whether crimes are serious (i.e., disqualifying) at step one; and (6) if a challenger makes the necessary step-one showing, the burden shifts to the Government at step two to prove that the regulation at issue survives intermediate scrutiny. In the cases before us, though Binderup and Suarez fail to show that their misdemeanor offenses are not subject to § 922(g)(1), they have rebutted the presumption that they lack Second Amendment rights by distinguishing their crimes of conviction from those that historically led to exclusion from Second Amendment protections. This meets the first-step test of Marzzarella. At step two, the Government has failed to present sufficient evidence to demonstrate under even intermediate scrutiny that it may, consistent with the Second Amendment, apply § 922(g)(1) to bar Binderup and Suarez from possessing a firearm in their homes. Accordingly, we affirm the judgments of the District Courts. There is some really goodstuff in the opinions, so I encourage readers to read the whole cahuna. For another discussion of the issue, see Euguene Volokh, Can some people who have finished their felony sentences recover their Second Amendment rights? (Volokh Conspiracy 9/7/16), here. fn14 In arguing generally that all persons with criminal records are not entitled to Second Amendment rights, the Government and the Dissent emphasize the fact that “[w]e as a society require persons convicted of crimes to forfeit any number of rights and privileges, including the right to sit on a jury, the right to hold elective office, and the right to vote.” Dissent at 2. But these forfeitable rights have different histories and different constitutional dimensions. Consider the right to vote, which like the right to keep and bear arms has been declared fundamental by the Supreme Court. See Reynolds v. Sims, 377 U.S. 533, 561–62 (1964). Although the Supreme Court has concluded that the Fourteenth Amendment’s Equal Protection Clause does not require states to advance a compelling interest before denying citizens who have been convicted of crimes the right to vote, Richardson v. Ramirez, 418 U.S. 24, 54 (1974), that result was demanded by the Constitution’s text. Specifically, the Court relied on the “understanding of those who adopted the Fourteenth Amendment, as reflected in [ ] express language” of Section 2 of the Fourteenth Amendment that affirmatively contemplates criminal disenfranchisement, despite Section 1’s guarantee of equal protection of the laws. Id. Accordingly, felons fall outside the scope of the fundamental right to vote. See Wesley v. Collins, 791 F.2d 1255, 1261 (6th Cir. 1986) (“[T]he right of felons to vote is not fundamental.”). Probably due to the breadth of this exclusion from the right to vote, the Supreme Court has not indicated that a disenfranchised criminal might succeed in demonstrating that such disenfranchisement is unconstitutional as applied to him in light of the historical understanding of the right. Rather, a challenger’s only option is to show that a particular disenfranchisement provision is either irrational or discriminatory. Richardson, 418 U.S. at 56; Hunter v. Underwood, 471 U.S. 222, 233 (1985). Thus, the scope of the right to vote is historically and textually distinct from the Second Amendment right. fn2 Nothing herein should be interpreted as taking any position on the validity of statutes that deprive convicted felons of the right to vote. The issue of felon disenfranchisement is not presented here, and there may well be very different considerations that distinguish a felon’s loss of the right to vote from the loss of the right to possess a gun. I have not researched the issue, but I would think that voting rights are equally as constitutionally sacrosanct as firearms and thus could be subject to the type of analysis in Binderup. I would like to have readers comment on that issue as well as addressing the firearms issue in Binderup.